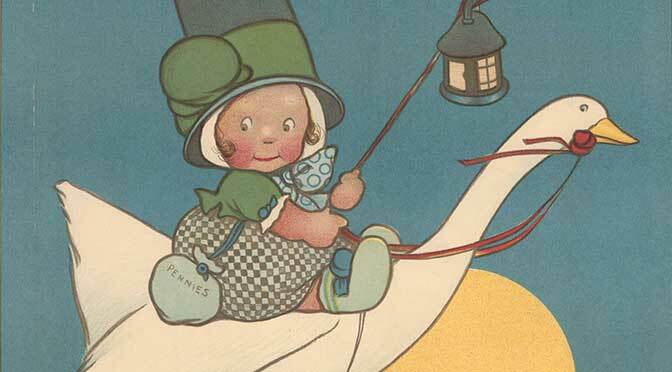 Mabel Lucie Attwell was one of the most successful female illustrators of the twentieth century, whose trademark chubby toddlers remain as popular now as they were 100 years ago. Although not well known as a poster artist, the success of her children’s books, postcards and (later) annuals, made her an obvious choice for London Underground’s emerging publicity campaign. Her immediately familiar style struck a reassuring note with passengers and, by implication, suggested that the new Tube railway was a safe and reliable system. Trained at Heatherlys and Saint Martin’s School of Art, Attwell’s first commission for the Underground came in 1912. More followed in 1913, and it seems likely that she continued to work for the Underground after the First World War. A Pathe newsreel from about 1920, for example, shows Attwell sketching a new Tube poster, Christmas in Fairyland, in her garden using her three children as models. Sadly, no copy has survived in the London Transport Museum collection, although one exists in the Pushkin State Museum (Moscow). By this time Attwell was a best-selling publishing phenomenon. Her already extensive range of books and cards was expanded to include nursery ceramics, textiles, calendars, dolls and figurines – all eagerly collected today. 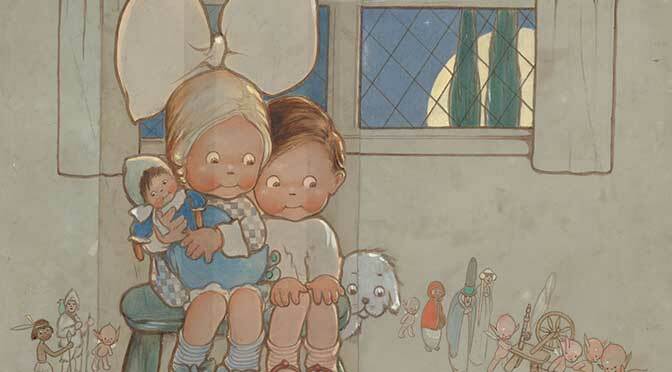 But it was her immensely popular illustrations for children’s classics such as Alice in Wonderland, Peter Pan and the fairy tales of Hans Christian Anderson and the Brothers Grimm that bought her a devoted worldwide following. Attwell continued to work into old age, assisted by her daughter Peggy who took on the management of Attwell’s estate after her mother’s death. Examples of Attwell’s rarely seen Underground posters are included in London Transport Museum’s current Poster Girls show, together with vintage film footage of the artist at work. Behind the scenes tours of the main poster collection are available to book online.